I was 14 the first time I got falling-down drunk. I was attending summer golf camp at the University of Arkansas. 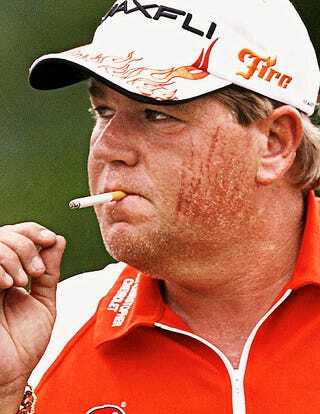 It was 1985, and a preternaturally talented young golfer named John Daly was my camp counselor. This was six years before Daly won the PGA Championship as a rookie. He would also become famous for his drinking, but in 1985 he was still just a big kid, five years older than I was but not especially more mature. One night he acquired a bottle of Canadian whiskey, and somehow we persuaded three girls from the tennis camp to join us in his dorm room. Not bothering with glassware, we passed the bottle around until it was empty. I remember eating some watermelon Daly had bought. The evening ended when I regurgitated the whiskey and melon onto one of the girls. Daly and another player on the Razorback golf team deposited me into the well of a shower, where I fell into a dead sleep.